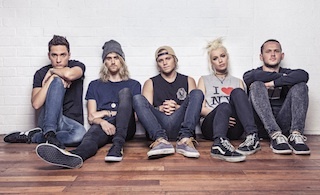 ATP's favorite Australian pop/rock quintet, Tonight Alive have released their new music video for "Come Home," which can be viewed below. The track is taken from the band's stunning new album The Other Side that is available now via Fearless Records. Don't forget to catch Tonight Alive on their ATP! sponsored tour this fall with The Downtown Fiction, For The Foxes and Echosmith. Dates and ticket information can be found here.